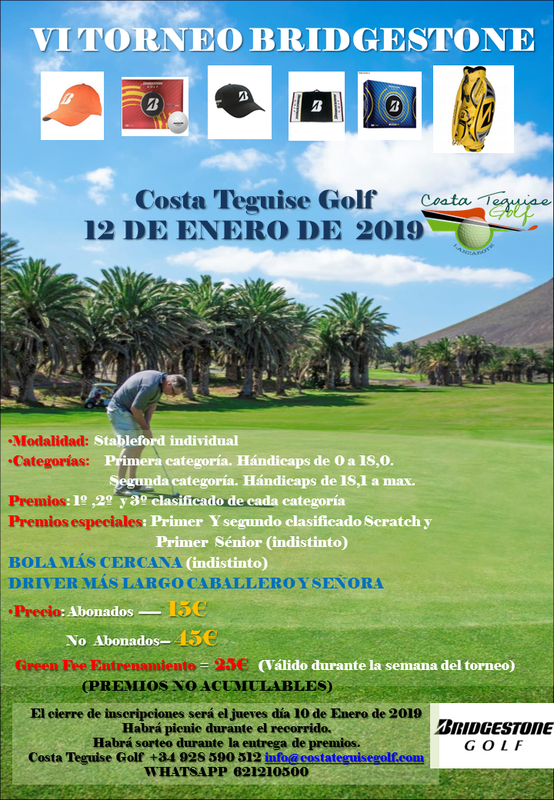 The VI Bridgestone Tournament will take place at Costa Teguise Golf on Saturday, January 12th, 2019. 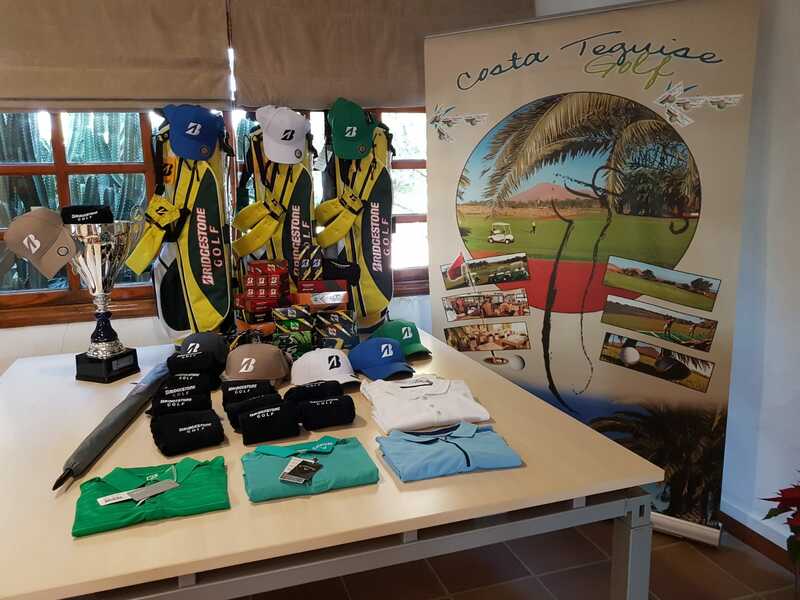 We start the year with this great tournament with the Sponsor of one of our best Proshop Partners. Modality: Individual Stableford, 2 indistinct categories, prizes to the 3 first places of each category and special prizes Scratch, Indistinct Senior, Nearest to the Pin and Longest Drive. There will be a picnic during the tournament and a raffle during the Prize Giving. 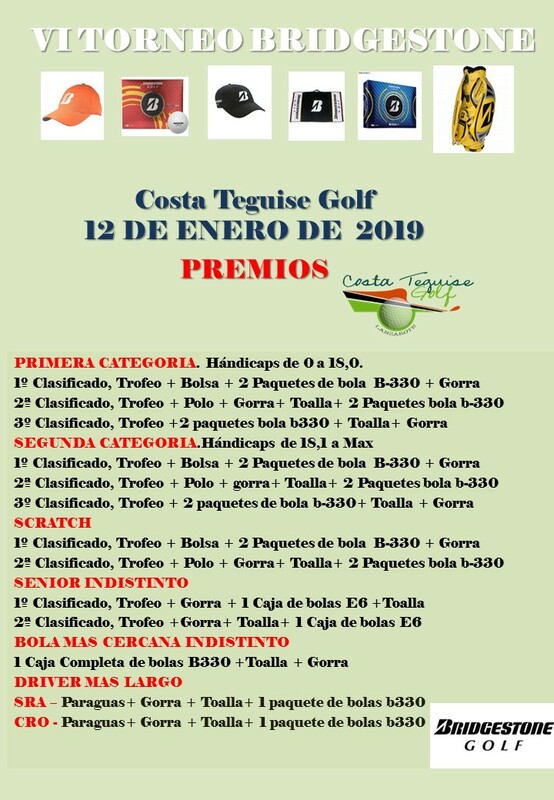 Here you have the tournament poster and the list of prizes.